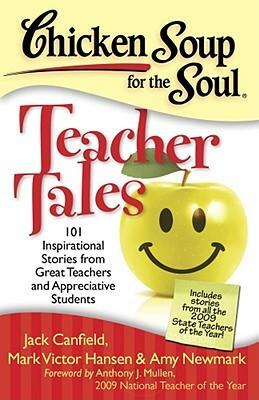 "There's always one special teacher or student, and Chicken Soup for the Soul: Teacher Tales regales all educators with its heartfelt, inspiring and humorous stories from inside and outside the classroom. Stories from teachers and students about their favourite memories, lasting lessons and unforgettable moments will uplift and encourage any teacher." Aspiring teachers have plenty of things in mind when they enter the profession or begin their training. Helping young people as their teachers have helped them. Being an inspiration to others. Using the subject they loved to study themselves. Being a reincarnation of Robin Williams' character in Dead Poets' Society. While many of these things are possible, it's worth remembering that just as being a doctor is not like being JD in Scrubs, teaching also carries a lot of realities that don't figure in your dreams, like the seemingly endless administration, the state of near-exhaustion that term-time wreaks upon you, children who can be in their chair one second and drawing on the walls the next, and uncooperative colleagues. All of these things can make it difficult to remember why you're there in the first place. So when teachers need a bit of a pick-me-up, compendia such as Teacher Tales are much appreciated. Easy to dip into for a quick read even when you're exhausted on your daily commute or just before bed, the stories are droplets of inspiration. Despite the stories' formulaic, at-times mawkish format that's common to all of the Chicken Soup books, the collection contains something for every teacher to relate to, whether they're just starting out, are on the cusp of retirement, are thinking of quitting, or are somewhere in between. The teachers who have written stories for the book are proud to show their human side, whether they've ended up crying after class, have accidentally shown an inappropriate video to their students, or have dealt with a parent, colleague or pupil badly. They reflect on students and teachers who have changed them, whether it's through pedagogy or personality. However, it's not all serious: there are cartoons to lift the spirits (like the one below) and stories of buying supplies or gifts for students during one's grocery shopping. All of these morsels of humour and hope are a drip-feed to get teachers through the next day, week, month or year - and that is a valuable thing in what can be a stressful profession. 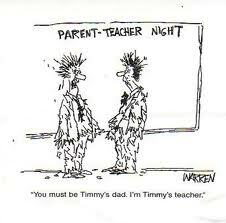 But ultimately, Teacher Tales makes the reader remember that teaching is more rewarding than stressful. As teachers read this book, they will remember their own embarrassing moments, best students, worst students, field trips, best and worst teachers, assignments from students that they've almost wanted to pin on their own fridge, and in the end, the greatest learning curve they've ever been on.